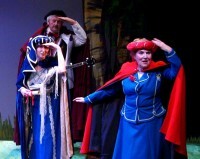 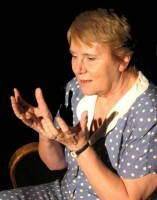 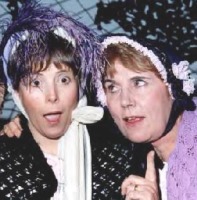 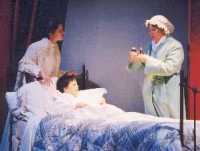 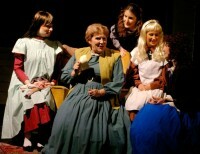 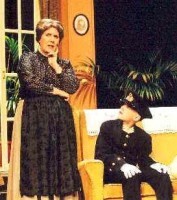 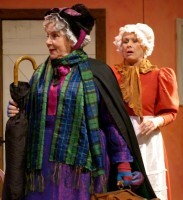 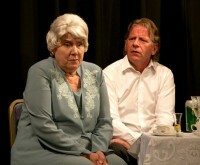 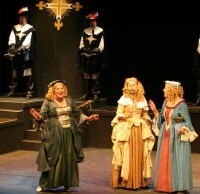 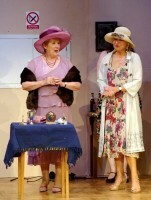 Rosemary has appeared in over fifty productions in and around Cambridge. Her appearances for Bawds include EQUUS (Mrs Strang), CHILDREN OF A LESSER GOD (Mrs Norman), THE CHERRY ORCHARD (Charlotta), THE CRUCIBLE (Sarah Good), MUCH ADO ABOUT NOTHING (Antonia), HAY FEVER (Judith Bliss), THE WINTER'S TALE (Paulina), PERFORMING DOGS (which was presented at London's Theatre Museum, Covent Garden) - Sarah Siddons), THE TAMING OF THE SHREW (Biondella), THE SEA (Mrs Tilehouse) SUDDENLY LAST SUMMER (Mrs Venable) , THE MANY FACES OF SHAKESPEARE , LUCKY SODS (Jean), A MAN FOR ALL SEASONS (Lady Alice More), A CHRISTMAS CAROL (Narrator and the ghastly Charwoman), 84 CHARING CROSS ROAD ( Cecily Farr), AN IDEAL HUSBAND (Lady Markby), THE ELEPHANT MAN (Princess Alexandra), KATHERINE HOWARD (Lady-In-Waiting to the Queen), THE SECRET GARDEN (Mrs Medlock), THE WINSLOW BOY (Violet) JANE EYRE (Narrator / Miss Abbot / Shopkeeper) NORTH OF BOSTON (Voice Five), THE MOONSTONE (Miss Clack, A Bouncer, A Frenchman and A Mechanic), DICKENS' CHILDREN ('The Mother') THE IMPORTANCE OF BEING EARNEST (pictured above as Lady Bracknell), LANDSCAPE (Beth, for which she won the Best Actress Award at the 2005 Sawston and Haverhill Drama Festivals), THE MAN IN THE IRON MASK (Voice / Member of Court), A LITTLE BRIEF AUTHORITY (Provost), DOCTOR FAUSTUS (Good Angel / Pilgrim), LITTLE WOMEN (Marmee), A MURDER IS ANNOUNCED (Mitzi, the Cook), DAVID COPPERFIELD (Betsey Trotwood), REBECCA (Mrs Julyan),THE LADY IN THE VAN (Miss Shepherd), THREE MEN IN A BOAT (Strolling Player, Train Passenger & others), UNDER MILK WOOD (Mrs Pugh & others), AMY WONDERFUL AMY (Reporter), THE CHERRY ORCHARD (Servant/Guest), NICHOLAS NICKLEBY (Mrs Kenwigs, Narrator & others), FALSTAFF'S FOLLY (Mistress Quickly), THE LAST YANKEE (Patient), CALENDAR GIRLS (Lady Cravenshire), THE OLD CURIOSITY SHOP (Mrs Jiniwin), PLAYHOUSE CREATURES (Doll Common), A MIDSUMMER NIGHT'S DREAM (Philostrate), MASKERADE (Mrs Plinge), CROSSWORD (Maureen for which she won Best Actress Cambridge Drama Festival 2016), CRANFORD AT CHRISTMAS (Mrs Jamieson), THE COUNT OF MONTE CRISTO (Ensemble #6 / Madamme Lascelles) and MURDER IN THE CATHEDRAL (Agnes). 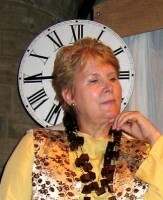 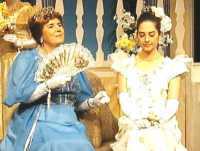 Her appearances for other local companies include UNDER MILK WOOD (Second Voice), THE TEMPEST (Adrian), THE IMPORTANCE OF BEING EARNEST (Miss Prism), THE ARCHBISHOP'S CEILNG (Maga), GREAT EXPECTATIONS (Camilla), NASTY NEIGHBOURS (Mrs Peach), HABEAS CORPUS (Lady Rumpers), ANNIE (Miss Hannigan), THE SCHOOL FOR SCANDAL (Lady Sneerwell), THE SECRET RAPTURE (Isobel), MURDER IN THE CATHEDRAL (A Voice of the Cathedral), WHISTLE DOWN THE WIND (presented by Camcit at Minack Open-Air Theatre, Cornwall - Auntie), THE RED DRESS (an Edinburgh Fringe production) - The Wife), WHEN THE BOUGH BREAKS (Mother), PRISONER (The Prisoner), LADY WINDERMERE'S FAN (The Duchess of Berwick), THE ADVENTURES OF TOM SAWYER (Mrs Harper), THE CRITIC (Mrs Dangle / Underprompt), GATHERING DUST (Rhona) for which Rosemary won Best Actress Award at the 2003 Sawston Drama Festival, THE MAN BORN TO BE KING (Mary, mother of Jesus), DRAGONS IN THE CAVE (Etta), HAY FEVER (Clara), AN INSPECTOR CALLS (Sybil Birling), HABEAS CORPUS (Mrs Swabb), ANNIVERSARY (Edna) WITNESS (Rich Woman), CELL TALK (Julian of Norwich), HARRY SIMPSON, WHERE ARE YOU? 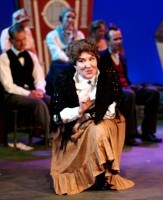 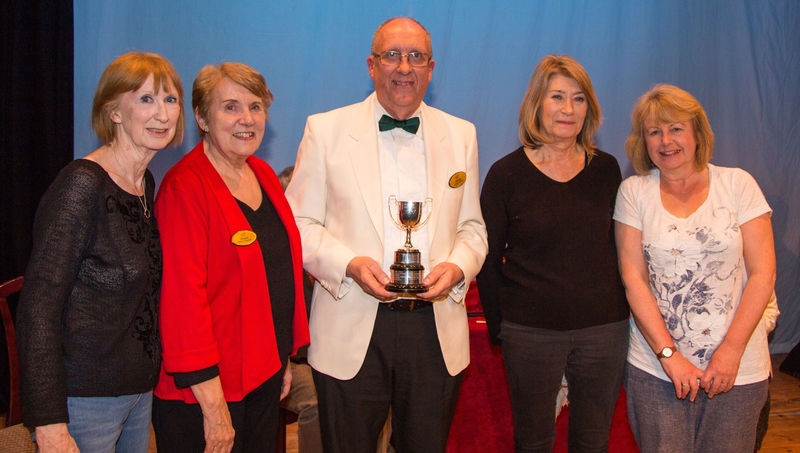 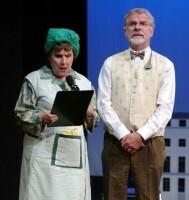 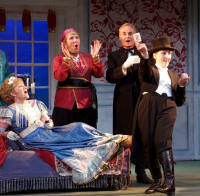 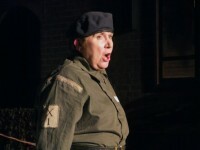 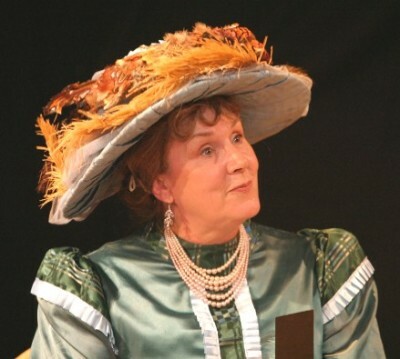 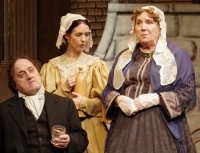 (Elsie), THE IMPORTANCE OF BEING EARNEST (Lady Bracknell) INCIDENT AT THE BORDER (Alice) THE MERRY WIVES OF WINDSOR (Mistress Quickly), THE TWO GENTLEMEN OF VERONA (Antonia & Hostess), THE TEMPEST (Gonzala), RICHARD III (Duchess of York) and ESCAPED ALONE (Mrs J - Joint Best Actress - Swaston Festival 2019). 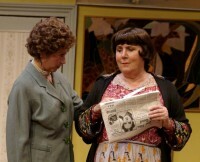 Rosemary has also appeared in a number of films including THAT MONDAY MORNING FEELING, FEED ME, and SUMMER END. 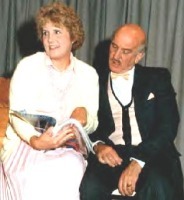 Her radio appearances include THE MAN BORN TO BE KING (Play 1) and DO NOT BE AFRAID.